Medication adherence refers to the degree or extent patients conform to a provider’s recommended medication plan. Compliance happens when patients follow instructions with respect to the timing, dosage, and frequency of all their medications. So what happens when patients don’t adhere with their treatment regimen? What happens when they don’t take their pills at the right time? Or skip doses because they feel better (or worse)? Simply put, when patients practice some form of medication non-adherence , they aren’t getting the right amount of medicine into their bodies at the right time. And that can lead to poor outcomes, increased doctor visits, and potential readmissions to the hospital, particularly for people with chronic conditions. Medication non-adherence results from intentional as well as unintentional actions. But whatever the reason for non-adherence - cost, lack of understanding, side effects, or “I forgot” - not taking medicine can lead to serious safety issues. Prolonged illness can weaken immune systems and physical strength, causing additional illness or falls. And poor outcomes can land patients back in the hospital or on a revolving door of doctor visits. Particularly vulnerable are people with chronic conditions such as heart disease, COPD, and hypertension. Most conversations about medication adherence happen during a patient’s doctor visit or hospital discharge. But the truth is, once patient’s leave the office or hospital, patients are on their own. A patient’s decision about whether or not to comply with a medication regimen happens outside the walls of the hospital and clinic. So that’s where we’ve got to meet patients and have ongoing conversations about the importance of taking their pills. And refilling their prescriptions. And getting well. If your organization is serious about improving adherence with medications, it must have a plan for outreach. Here are five outreach options to consider. Not all patients appreciate phone calls, but many older patients do. Reaching out by phone to discuss treatment regimens, answer questions, and remind patients about the importance of refills has worked well to improve adherence. For instance, one health plan used personalized outreach to call Medicare beneficiaries, educate them about adherence, and learn about potential barriers to taking their medications for diabetes, hypertension, and/or high cholesterol medications. The automated call interventions improved fill rates 18% to 23%. In another study, a telephonic outreach program was effective at improving antihypertensive medication adherence in Medicare Advantage Part D beneficiaries. The calls included a live interactive conversation with patients to assess the use of their medications. For the patients in the study, the mean proportion of days covered (PDC), increased significantly: by 17.3% in the intervention group and 13.8% in the control group. Sending text message reminders is a cost effective strategy that can approximately double the odds of medication adherence, according to a meta analysis in JAMA Internal Medicine. According to the analysis, the increase translates into adherence rates improving from 50% (assuming this baseline rate in patients with chronic disease) to 67.8%, or an absolute increase of 17.8%. Nearly all Americans have a mobile phone these days, and usage spans all socioeconomic classes and ages. And, text messaging is an older technology, which means it works even for patients who have old generation phones. With more than 100 partners, sponsors, researchers, and government agencies, the Script Your Future medication adherence campaign has been improving consumer awareness about compliance and safety since 2011. 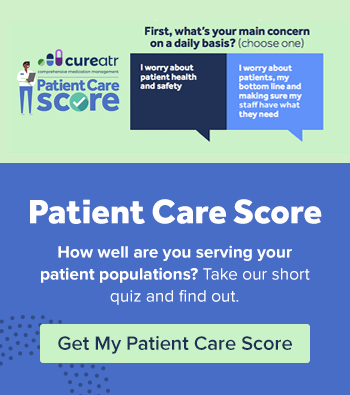 It’s Web site includes educational material and tools for patients, and information about how healthcare organizations can get involved in team challenges for improving adherence, among other things. If your organization is in Alabama, California, Maryland, North Carolina, Ohio, or Rhode Island, you can partner with the Script Your Future campaign in a variety of ways to improve your outreach programs. Health systems and clinics are testing telehealth for many types of follow up interactions and medication compliance is one of them. In North Carolina, Greensboro-based Triad HealthCare Network just began using a telehealth platform to measure medication adherence in Medicare Advantage members dealing with chronic conditions. And Partners Healthcare’s Partners Connected Health and Lynn Community Health Center in Lynn, in Massachusetts are using telehealth to follow selected patients with a primary diagnosis of schizophrenia, bipolar disorder or major depression. 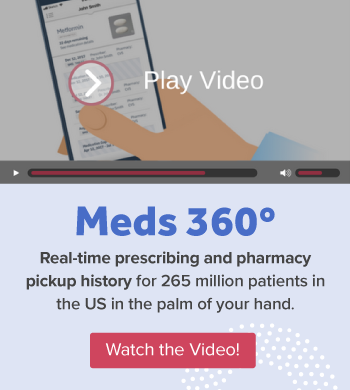 There are a number of free apps that offer patients medication reminders, refill alerts, and other features. Mango Health, MyMeds Medication Management, and MediSafe Meds and Pills Reminder are just a few. Although apps like these can be helpful, more robust options can integrate with a hospital or healthcare organization’s nursing and care management support teams to provide high touch along with high tech. One option is Wellth, a mobile app that uses behavioral economics improve adherence, patient engagement, and care manager efficiency. Patients receive financial incentives to take their medicines, capturing photographs of their pills and meals as part of tracking their compliance activity. Care managers receive alerts when patients aren’t following treatment regimens, and follow up with patients personally, by phone or text. J Am Pharm Assoc (2003). 2017 Jan - Feb;57(1):62-66.e2. doi: 10.1016/j.japh.2016.07.006. Epub 2016 Oct 21. Impact of a telephonic outreach program on medication adherence in Medicare Advantage Prescription Drug (MAPD) plan beneficiaries. Park H, Adeyemi A, Wang W, Roane TE.